I have a 1 in 1 out rule which I try to adhere to. If I want a new bag, one has to go. The same applies to anything in my wardrobe. After having to move more times than I'd like to over the past few years, I know what a headache it can be trying to shift when you have a house full of stuff. Stuff that you'd forgotten. Stuff that had been languishing in layers of dust. Stuff that once you tally up the cost makes you wince in pain. Imagine if you'd invested the funds wisely. I've been pretty brutal with myself. Anything that hasn't been used goes to 1) charity shops 2) eBay 3) the bin. Unless I absolutely positively can't live without a certain item, I will put it down, go home and figure out how it'll work with the rest of my wardrobe. It seems that the more cluttered my cupboard is, the more I think I have nothing to wear. A wonderful friend and reader recently commented how much she liked seeing the same Hermes belt and Hermes Lena necklace used over and over again in my photoshoots. It was a startling revelation but gratifying too that perhaps there are others just like me who prefer a more minimalist approach. When I was in my late 20s, I became hooked on Louis Vuitton and Chanel bags. 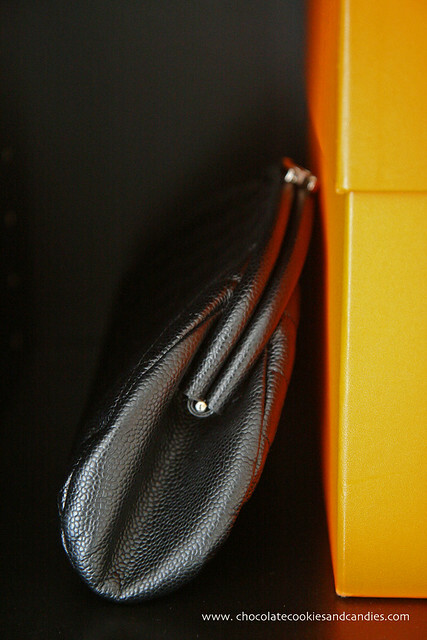 There were 10 to 12 designer bags, a miniscule collection compared to some of my clients and friends. Many never saw the light of day. When I hit my 30s I decided to go for a more understated look. Out went all the Louis Vuittons to pave the way for Hermes bags. Aside from five well used bags, I'd gotten rid of the rest of my collection. I was inspired by an elegant elderly lady who would take a walk along Knightsbridge with a carer at her side carrying a decades old Kelly bag. Each time I saw her, she would be carrying the same Kelly with the most amazing patina. I'm more comfortable in my own skin and no longer try to be what I'm not. I know I will never be able to walk in heels higher than 2.5 inches unless I want to risk breaking both ankles. I've had to whittle my shoe collection down to 12 pairs, some of which would have to be replaced fairly soon as they are worn down to the ground. My meagre collection of handbags, one of which has been sent off to the market (eBay) to be auctioned off. My black Bolide couldn't fit my camera gear along with my other junk (I know. I'm weird like that). My favorite clutch with super durable Caviar leather. 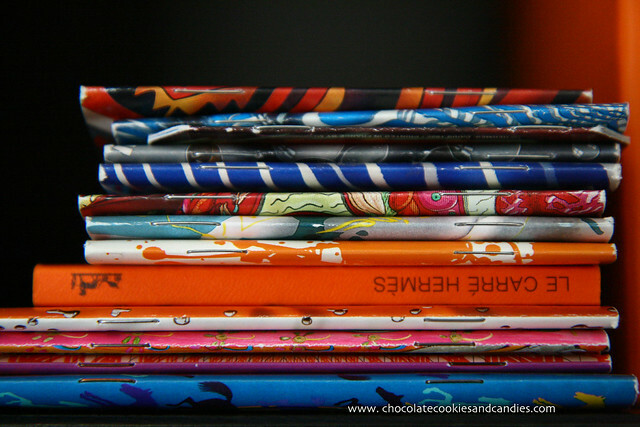 Once upon a time I was pretty obsessed with collecting every Hermes scarf booklet I could find. That applied to scarves until I realized that I only ever wore one or two at the most. The others were taken out every now and then to be aired and admired. Some of my costume jewelry which sadly are dumped in a Lanvin for H & M necklace box. Oh well, it's free! 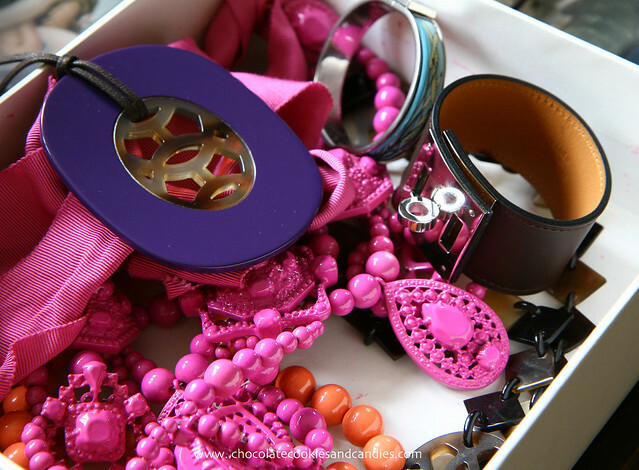 Hope you've enjoyed the short tour inside my accessory closet. What a great post. I have actually started only buying investment pieces this year. While I am no where near buying a birkin (maybe one day- would love to be like that older lady that you described in your post)- however just purchased my first Chanel flap bag (yippee!!!). I only buy things that I can picture myself wearing 10-15 years from now. Your collection of bags/scarves/jewelry is exquisite. I am going to show my husband- maybe one day he'll buy me that Louis vuitton leopard shawl (yah right) thanks for the post! LOVED your bags, shawls, Lena and CDC!!! What you wrote here is absolutely bang on. We women tend to hoard and cluster our wardrobe, don't we? And the more we have in our closet, the more we think we don't have anything to wear! Touche! Brilliant post as usual...best blog written in my honest opinion. Kudos! MMC, Congratulations!!! You can't go wrong with a Chanel flap. Personally, I think Chanels just get more beautiful with age. The LV leopard has to be one of my most used shawls. It's covered with runs but it just goes with everything. Febs, so sweet of you as always. CCC, I, too, love your approach to editing and living with sartorial treasures, although I would be hard pressed to rid myself of a Bolide--or any Hermès bag, truth be told. But the image of the lady at Knightbridge is a fabulous ideal to emulate. I've learned this past year how far a few well-chosen accessories can go (that Lena necklace, a couple of enamel bracelets, etc. ), which helps to keep the choices contained. I daydream about having a multitude of bangles or scarves or any number of things, but really, it would lessen the perfection. Love everything about this post...and this approach - especially the eye candy! I am slowly getting there too! My husband has made me try to abide by this rule, but I'm not always the best! It's very inspiring to see parts of your closet - it's so organized! I hope to simplify my life and this was a great reminder! your pictures are exquisite, and i love all the colors that are so well thought out. is that evelyne rouge H or rouge garrance? lauraloo, thank you! You're very similar too in that you think and plan before you plonk your hard earned money down. Sam, *ahem* You'll probably notice that I didn't photography my chest of drawers. I try to do a purge once every 2-3 months just to keep track of my wardrobe. bhmommy, thank you! I love the colors on Hermes bags but it was only later that I decided I should add some "real" neutral shades like black and gold. My Evelyne's Rouge H. I've worn her a lot and surprisingly, Rouge H compliments many other colors well. I've been thinking about instituting a rigorous 1 in 1 out rule. Up til now I've just been trying to do an informal closet cleaning once a month and then do a serious re-assessment about twice a year. 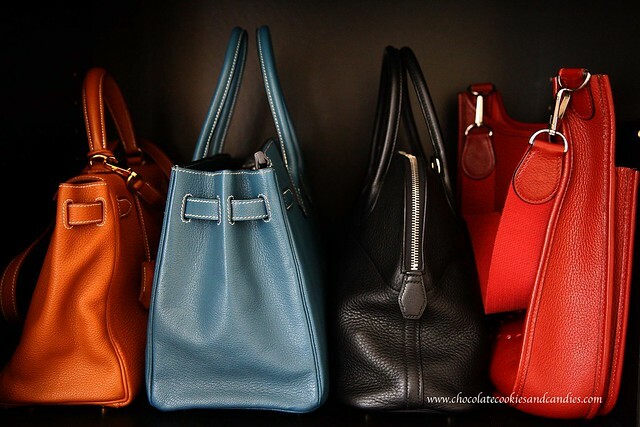 VERY jealous of that handbag collection. Gorgeous! Mary Lane, thank you! I've had to be hard on myself and edit my handbag collection to what I'll actually use. I think once a clean out is amazing. I'm shocked at how much unused clothes I'd pulled out. It's so lovely to hear from you, Linda! The Thalassa is definitely very striking in chevre mysore but sometimes I wish I picked Etoupe instead. As you know I'm on a mission on downsizing, and I also now follow the one in one out. Thank you, Lily. I'm trying to strike the balance between acquiring desirables and using what I've got. Personally, I think less is more. Aesthetic Alterations, thank you! I'm always a little worried about adding too much to my wardrobe. Small and contained is the perfection description. It just makes getting ready in the morning so much simpler and more organized. I agree one needs to keep a tab on the stuff one buys so as not to burst the wardrobe or clutter up the house. Marlene I love this post so much! I'm so sick of reading so called fashion blogs where women just constantly Show new things they’ve bought and you never see them in the same thing twice. And at that many clothes needless to say it’s mostly cheap tat. I’ve been trying really hard to buy less clothes, and buy stuff that will last. I still mess up and buy things like expensive floral jeans that I won’t wear next year but I have totally stopped buying cheap clothes. I spent a lot of money building up a decent wardrobe and now I’m at the point where I can do one in and one out. I buy one coat a year and now have a collection of three marc Jacobs coats and a burberry duffel. I love these coats so much that I can’t wait for next winter so that I can wear them, a real change from before where I’d get to the new season and be gutted about having to wear the same old stuff and want to buy new things. Last week, owing to the weeks and weeks of rain, I finally caved in and bought a Burberry trenchcoat. I’ve wanted one for ever and bought one in a strop at having got wet again. I felt huge guilt at the cost, but the thing is, this time I know I’m going to be wearing it in years to come and that’s actually really exciting, like that lady with the Hermes. 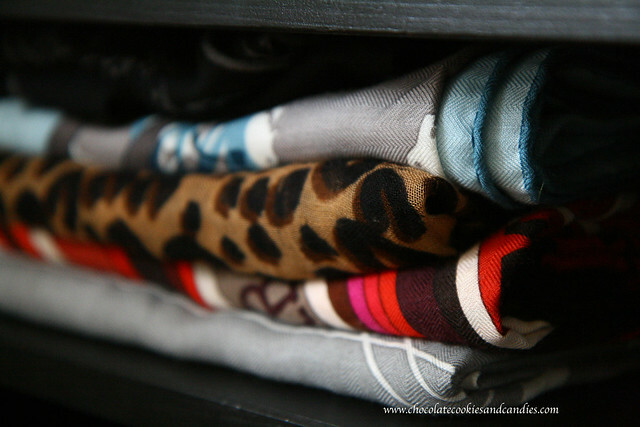 Such a great post, would love to hear more about your approach to clothes buying and storing!